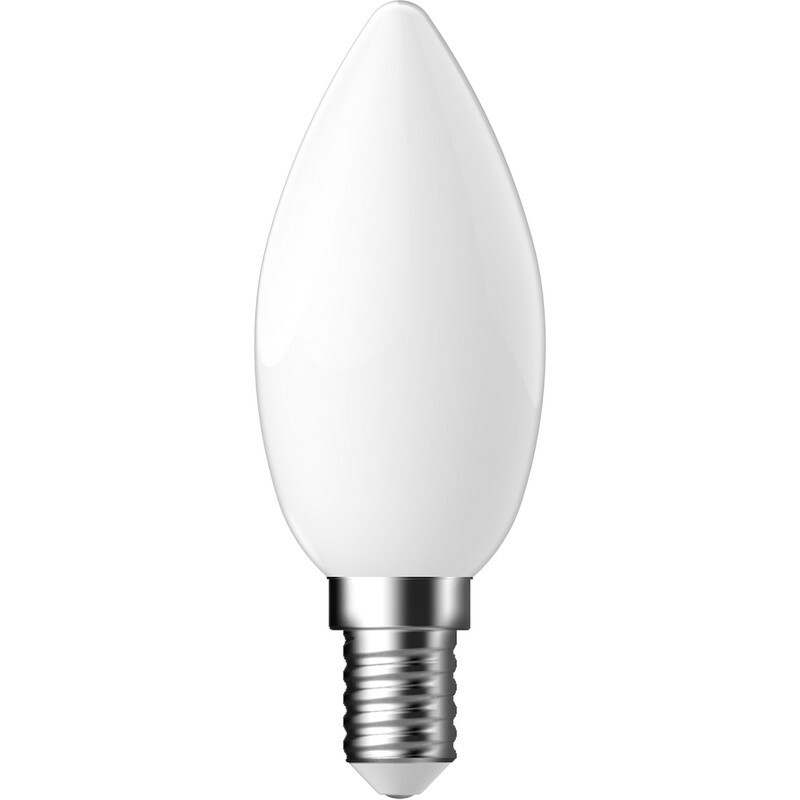 Energetic LED Filament Frosted Candle Dimmable Lamp 4.8W SES 470lm is rated 4.0 out of 5 by 2. Rated 3 out of 5 by Lukelincs from Good price point, noisey Can't argue the fact that these are dimmable led candle bulbs.. However after installing 3 in a dimmable lamp I switched it on to find they sound like a swarm of bees stealing a helicopter. Fitted to a non dimmer lamp they are completely silent. Rated 5 out of 5 by Boyo from Lovely Warm Glow Bought these bulbs and really pleased with their performance and the warm glow.